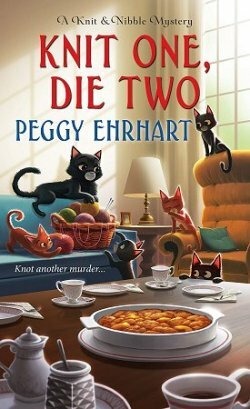 July 2017 New Mystery Releases! The one time of year that always goes too fast for my liking is summer. I've always been this way, probably because I suffer from SAD, and the brilliant sunlight and lack of clouds here in the desert go a long way to unburden me of that tiresome disorder. With my enjoyment of my pool, wildlife watching, and reading, I can go through about seventy-five books over the summer, and that means that I have to keep my eyes peeled for new books constantly, greedy soul that I am. 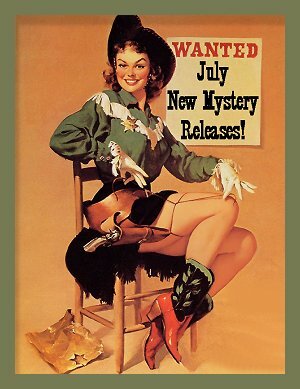 The following are my picks of the new crime fiction being released during the month of July. They are grouped by release date and contain information that will help you add them to your Must Read lists. Book covers and synopses are courtesy of Amazon. Standalone Thriller set in present-day Germany. Synopsis: "Judith Kepler has seen it all. She is a crime scene specialist. She turns crime scenes back into habitable spaces. She is a cleaner. It is at the home of a woman who has been brutally murdered that she is suddenly confronted with her own past. The murder victim knew Judith's secret: as a child Judith was sent to an orphanage under mysterious circumstances—parentage unknown. And the East German secret police were always there, in the background. When Judith begins to ask questions, she becomes the target of some powerful enemies. And nothing will ever be the same again." Series: #3 in the historical Oswald de Lacy series set in plague-stricken mid-fourteenth century England. Synopsis: "It’s 1358, and young Oswald de Lacy, Lord Somershill, is delayed in Venice as he awaits a pilgrim ship to the Holy Land. While the city is besieged by the King of Hungary, Oswald stays at the house of an English merchant, and soon comes under the spell of this decadent and dazzling island state that sits on the edge of Europe―where East meets West. 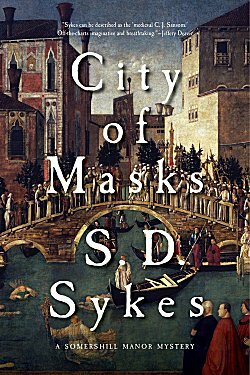 From the dungeons of the Doge’s Palace to the convent-brothel of Santa Lucia, Oswald must search for a murderer in this bewildering maze of alleys and canals. When he comes up against the feared Signori di Notte, the secret police, Oswald learns that he is not the only one with something to hide. Everyone is watching (or trailing) someone else, and nobody in Venice is who they appear to be. Masks, it seems, are not only for the carnival." Series: #3 in the Maggie McDonald cozy series set in Silicon Valley, California. 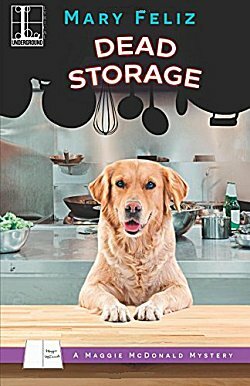 Synopsis: "As a professional organizer, Maggie McDonald brings order to messy situations. But when a good friend becomes a murder suspect, surviving the chaos is one tall task . . . Despite a looming deadline, Maggie thinks she has what it takes to help friends Jason and Stephen unclutter their large Victorian in time for its scheduled renovation. But before she can fill a single bin with unused junk, Jason leaves for Texas on an emergency business trip, Stephen's injured mastiff limps home and Stephen himself lands in jail for murder. Someone killed the owner of a local Chinese restaurant and stuffed him in the freezer. Stephen, caught at the crime scene covered in blood, is the number one suspect. Now Maggie must devise a strategy to sort through secrets and set him free before she's tossed into permanent storage next . 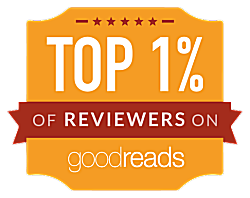 . ."
Standalone thriller set in Sweden. 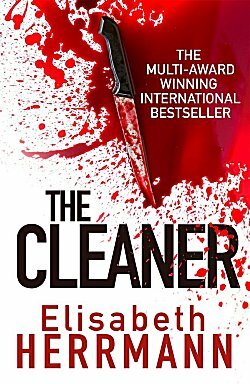 Synopsis: "At each abandoned crime scene there's a hidden clue: a tiny metal cog, almost invisible to the naked eye. Someone is sending Detective Sam Berger a message, someone who knows that only he will understand the cryptic trail. When another teenage girl disappears without a trace, Sam must convince his superiors that they’re dealing with a serial killer. As the police continue the hunt to find the latest victim, Sam is forced to unearth long-buried personal demons. He has no choice if he is to understand the killer's darkly personal message before time runs out." 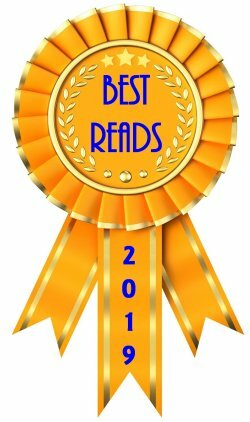 Standalone suspense set in Cornwall, England. 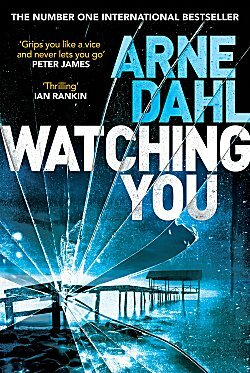 Synopsis: "On a cold December night in Cornwall, nanny Karen Peterson disappeared with three-year-old Sophie Flynn. The next day, the child’s body was found on a riverbank in Penhale Wood. A year later, Sophie’s mother, Iris Flynn, appears on the doorstep of investigating officer Rob McIntyre, determined to make him reopen her daughter’s case. McIntyre has his own personal demons, but Iris hijacks his life in order to find the woman she thinks is responsible for Sophie’s death. Following the slimmest of leads, they are soon confronting ghosts from the past and a chameleon-like killer who will do anything to stay hidden." Series: #2 in the Tobi Tobias cozy series set in Missouri. Synopsis: "When Tobi Tobias opened her own advertising agency, Carter McDade was there for her every step of the way. A brilliant hairdresser, Carter has just landed his dream project: doing hair and makeup for a theatrical production of Rapunzel. But the dream turns into a nightmare when he runs into Fiona Renoir, a cruel, talentless starlet who won't let Carter touch a hair on her head. To get Fiona out of Carter's hair, Tobi hires the difficult actress for a bit part in her latest commercial. But true to character, Fiona is a terror on set, and Tobi is starting to think she's made the biggest mistake of her life. 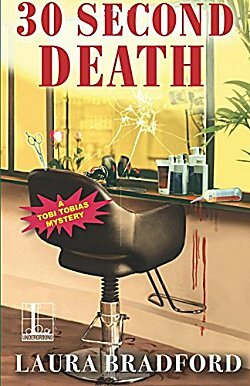 But things get even worse when Fiona drops dead in the hairdresser's chair, and the only suspect is the man left holding the tainted hair dye, Carter McDade. And unless Tobi can prove his innocence, he'll never do hair in this town again." 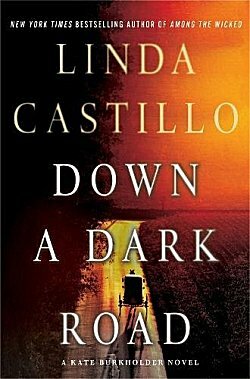 Series: #9 in the Kate Burkholder police procedural series set in Ohio. Synopsis: "Two years ago, Joseph King was convicted of murdering his wife and sentenced to life in prison. He was a “fallen” Amish man and a known drug user with a violent temper. Now King has escaped, and he’s headed for Painters Mill. News of a murderer on the loose travels like wildfire, putting Chief of Police Kate Burkholder and her team of officers on edge. But this is personal for Kate. She grew up with Joseph King. As a thirteen-year-old Amish girl, she’d worshiped the ground he walked on. She never could have imagined the nightmare scenario that becomes reality when King shows up with a gun and takes his five children hostage at their Amish uncle’s farm. Armed and desperate, he has nothing left to lose. Fearing for the safety of the children, Kate makes contact with King only to find herself trapped with a killer. Or is he? All King asks of her is to help him prove his innocence―and he releases her unharmed. Kate is skeptical, but when the facts and the evidence don’t align, she begins to wonder who she should trust. 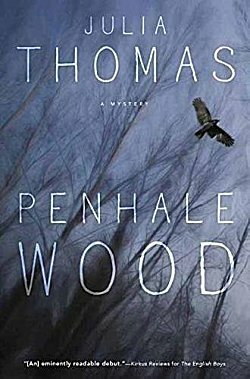 Spurned by some of her fellow cops, she embarks on her own investigation only to unearth an unspeakable secret―and someone who is willing to commit murder to keep it buried." Series: #7 in the historical Athenian series set in and around classical Greece. 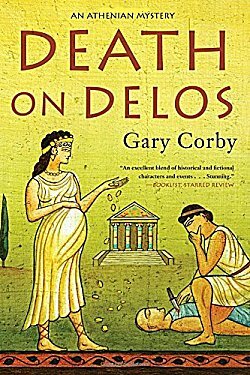 Synopsis: "Greece, 454 BC: The sacred isle of Delos, the birthplace of the divine twins Apollo and Artemis, has been a most holy pilgrimage site for centuries. Delos is also home to the military fund kept by the Delian League, the alliance of city-states that defended Greece against the Persians, and that vast treasury is protected only by the priests and priestesses of the tiny isle and a scant armed guard. It is a crime against the gods to die or be born on the sacred island. Thanks to the violence over the treasury, the first blasphemy has already been committed. Can Nico solve the murder and get Diotima off the island before they accidentally commit the second?" Series: #16 in the Andy Carpenter series set in Paterson, New Jersey. Now, with the reappearance of the dog, the case is brought back to light, and the search for the child renewed. Goaded by his wife’s desire to help a friend and fellow mother and Andy’s desire to make sure the real kidnapper is in jail, Andy and his team enter the case. But what they start to uncover is far more complicated and dangerous than they ever expected." Series: #1 in the Renée Ballard police procedural series set in Los Angeles, California. Synopsis: "Renée Ballard works the night shift in Hollywood, beginning many investigations but finishing none, as each morning she turns everything over to the day shift. A once up-and-coming detective, she's been given this beat as punishment after filing a sexual harassment complaint against a supervisor. But one night she catches two assignments she doesn't want to part with: the brutal beating of a prostitute left for dead in a parking lot and the killing of a young woman in a nightclub shooting. Ballard is determined not to give up at dawn. Against orders and her partner's wishes, she works both cases by day while maintaining her shift by night. As the investigations entwine, they pull her closer to her own demons and the reason she won't give up her job, no matter what the department throws at her." Series: #1 Arrowood historical mystery set in Victorian London. Synopsis: "London is scared. 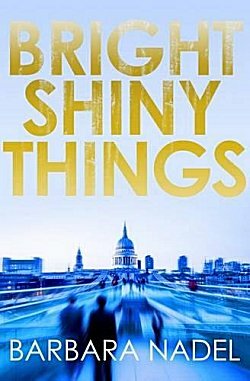 A killer haunts the city's streets; the poor are hungry; crime bosses are taking control; the police force is stretched to the breaking point. 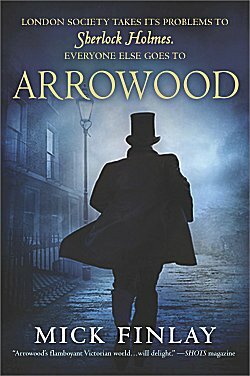 In the dark corner of Southwark, victims turn to a man who despises Holmes, his wealthy clientele, and his showy forensic approach to crime: Arrowood—self-taught psychologist, occasional drunkard, and private investigator. When a man mysteriously disappears and Arrowood's best lead is viciously stabbed before his eyes, he and his sidekick Barnett face their toughest quest yet: to capture the head of the most notorious gang in London…"
Series: #5 in the Arnold and Hakim private investigator series set in present-day London. 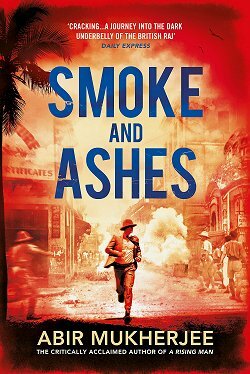 Synopsis: "Out of the blue, private investigator and ex-soldier Lee Arnold receives a visit from an old army mate. Abbas al’Barri worked as a translator with him during the Second Iraq War. Now living in Ilford with his family, Abbas is convinced that he’s had a message from his estranged son Fayyaad, who was radicalized and was last thought to be fighting for ISIL in Iraq. Does Fayyaad’s message indicate a change of heart? Abbas is desperate for Lee’s help in establishing some contact with him, a point with which Lee’s Muslim assistant Mumtaz might be able to help. From the bright lights of the Western world, to the murky online recruitment techniques of radical Islamism, Lee and Mumtaz have little to guide them in who to trust as they begin a journey into the belly of the beast." Series: #19 in the Alex Cooper legal thriller series set in New York City. Synopsis: "A wild heart beats within New York City. Amid concrete and skyscrapers, the Wildlife Conservation Society works to preserve and protect the animal kingdom both within and beyond the borders of the five boroughs. But dangerous creatures don't always have claws and fangs, as Assistant DA Alexandra Cooper and NYPD detectives Mike Chapman and Mercer Wallace know all too well. Predators lurk close to home, and in the aftermath of the shocking assassination of an iconic public figure—someone Alex has worked with for years—the trio must unravel the motive behind the shooting to discover who is the bigger snake: the killer or the victim. The murder investigation provides more questions than answers, as a tangled mess of secrets slowly comes to light. 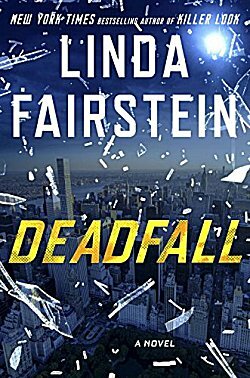 From street gangs to secret societies, from big-game hunting to the illegal animal trade, from New York City zoos to the highest offices in city government, Alex has her work cut out for her—especially since the task force handling the investigation, led by the US Attorney, seems to be more against her than with her. As tensions rise between Alex and the feds, she must determine just how far she is willing to go to uncover the truth—and uphold the integrity of the office she has so proudly served." Great lineup for July, isn't it? I'm looking forward to getting my hands on the newest S.D. Sykes mystery, and Michael Connelly's latest has really caught my eye, too. What about you? Which books made it to your own wishlists? Inquiring minds would love to know! Mary Feliz's series has really grabbed me, I read the first two together. I am also curious about Connelly's new direction/heroine--gotta get in on the ground floor if his other successes are any indication! I really like Feliz's series, too, and Connelly's newest really has me interested! There are a lot of interesting books here. 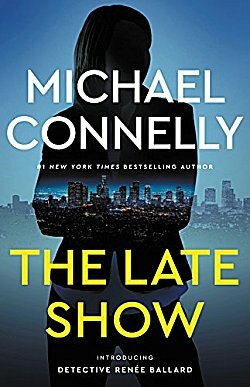 But I am struck by Michael Connelly's new series, and about a woman cop, too. Must grab this from the library. 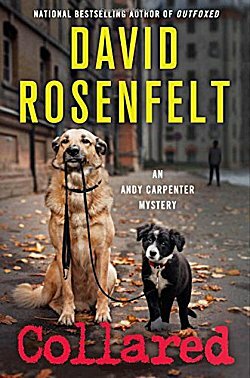 And I admit I am smitten with the cover of David Rosenfelt's new book "Collared." How could any dog lover resist? Michael Connelly seems to be the winner this month. I know I certainly want to read it. I've become a fan of Rosenfelt's covers. Can you tell I'm a dog lover? Yes. If you want to see how much of a dog lover Rosenfelt is, look at his website and his Facebook page. He and his spouse rescued 4,000 dogs, mostly Golden Retrievers and found them homes. They kept the elderly and disabled dogs. Then a few years ago they moved to Maine, with volunteers, trailers and a slew of dogs. Pictures are great of Woofabago. I enjoy my neighbor's dog and others on my block. I've seen Rosenfelt's website and Facebook page.